History comes alive in Springfield, Illinois, which is home to more Lincoln sites than anywhere else in the world. As the Illinois State Capital, there’s plenty more Illinois history to explore, alongside beautiful parks, and fun eats. Check out our list of 10 Things to Do In Springfield. 1. Pose with the Lincoln’s at the Abraham Lincoln Presidential Library and Museum. With more than 40,000 square feet of galleries, theaters, and historic displays, the Abraham Lincoln Presidential Library and Museum boasts the world’s greatest collection of Lincoln lore. 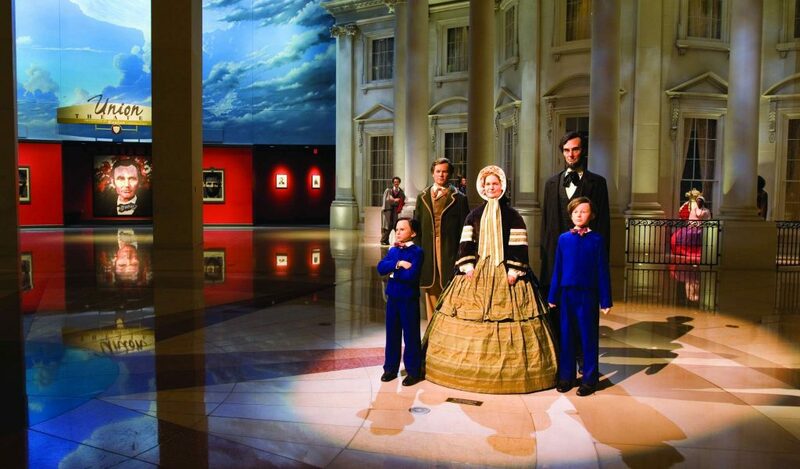 Learn about Lincoln through high-tech exhibits, interactive displays and multimedia programs, featuring holograms and live actors. You can also see the original copy of the Gettysburg Address and the quill Lincoln used to sign the Emancipation Proclamation, along with more than 12 million items from the Presidential Library. 2. Walk through the Lincoln Home. 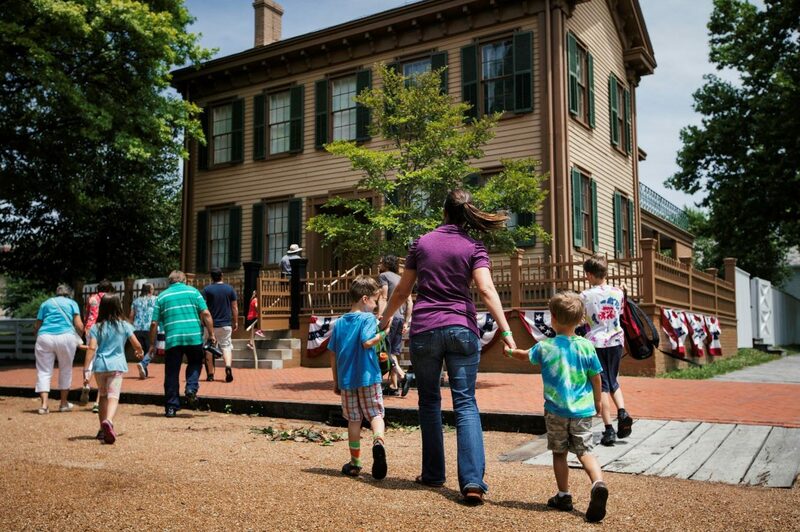 Walk where Abraham Lincoln walked at this famous National Historic site. You will step back in time as you take a guided tour of the only home Lincoln ever owned. After you tour the Lincoln Home, you can continue on your journey as you walk the surrounding four-and-a half-square blocks of historic homes that make up Lincoln’s neighborhood. 3. Explore the Seat of Illinois Government at the Old and New Capitol Buildings. 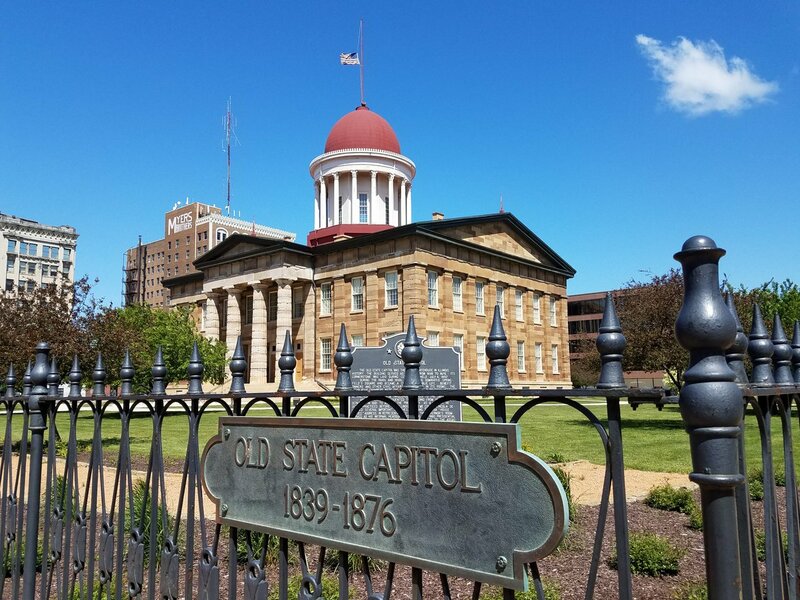 As the seat of Illinois Government, Springfield has not one, but two Capitol buildings to visit! The Old State Capitol, served as the center of Illinois politics from 1839–1876, and it was here that Lincoln gave his famed House Divided Speech on slavery in 1858. Right across the street see the exterior of the only remaining location where Lincoln actively practiced law: the Lincoln-Herndon Law Office. A few blocks away, the current Illinois State Capitol building is open to the public, and between the two capitol locations you have the ability to meet and greet historical reenactors, take a guided tours, wander the grand halls, meeting rooms, and libraries, and bridge the gap between the past and the present. 4. Go into Lincoln’s Tomb at Oak Ridge Cemetery. Complete you Lincoln Journey as you visit the Lincoln Tomb. The remains of Abraham Lincoln, his wife Mary and three of their four sons lie inside monument at Oak Ridge Cemetery. 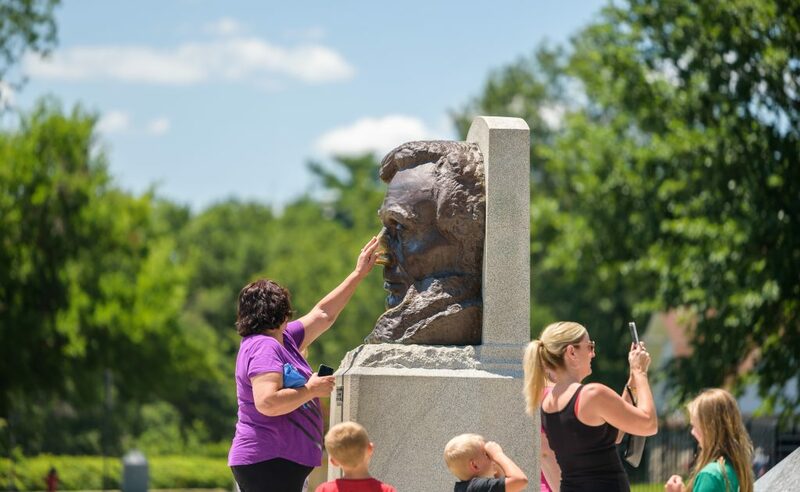 Visitors from around the world stop at the entrance of the Tomb to rub the nose of Lincoln’s statue for good luck. Oak Ridge Cemetery is also home to over eighty notable Illinoisans and is the second most visited cemetery in the nation. 5. Get Scientific at the Illinois State Museum. Explore three levels of Illinois history and art at the Illinois State Museum. 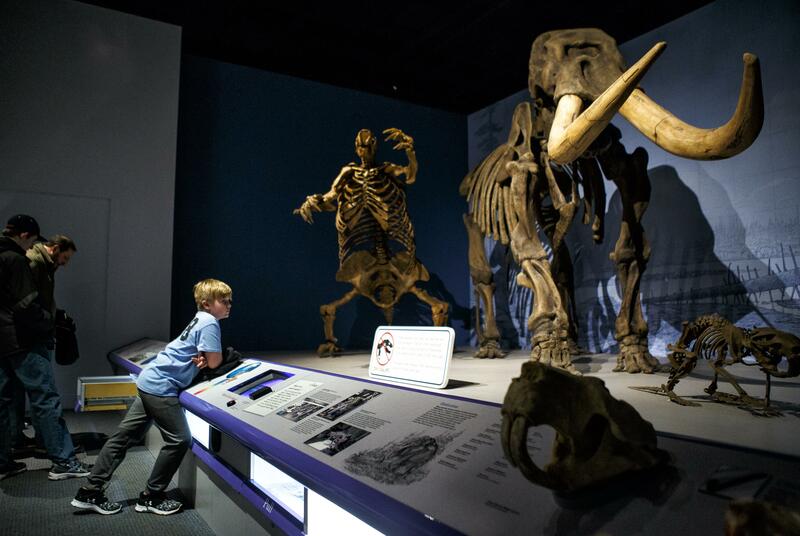 See Mastodon and Jefferson’s Ground Sloth skeletons, life-size dioramas of Illinois’ Native American heritage, and plenty of other exhibits from the Museum’s collection of over 13.5 million artifacts. There’s also the Mary Ann MacLean Play Museum, where younger visitors can load a jeep, dig for fossils and crawl through a cave! 6. Fill Your Belly at the Cozy Dog Drive-In. 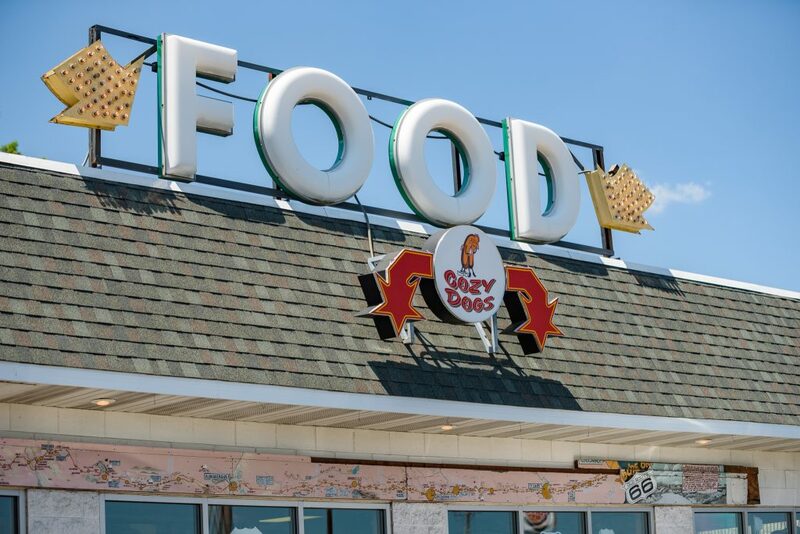 One of Illinois’ iconic Route 66 landmarks, the Cozy Dog Drive-In has been serving up Cozy Dogs since 1949. As one of its claims to fame, the Cozy Dog Drive-In is believed to be the birthplace of the corndog on a stick. A special family recipe, Cozy Dogs are similar to corn dogs, but with their own batter unique to the Drive-In – ergo, there’s nothing like ‘em! You’ll also find classic American fare like cheeseburgers, pancakes, grilled cheese and root beer. 7. Tour the Dana Thomas House. 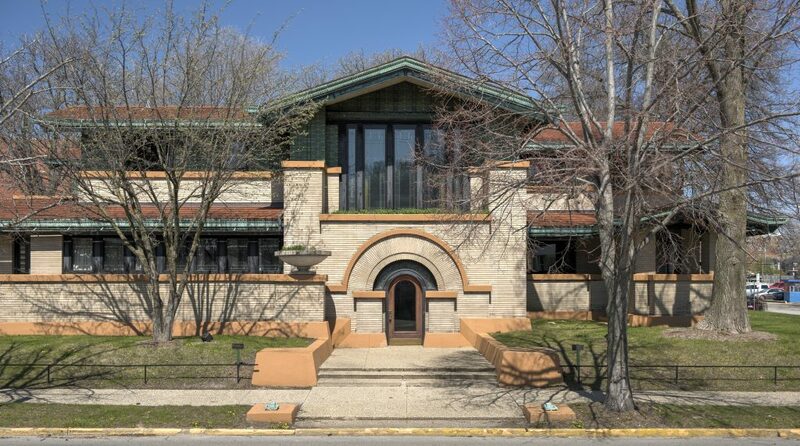 One of Frank Lloyd Wright’s largest and most elaborate Prairie-style designs, the Dana Thomas House has 35 rooms with more than 100 pieces of original furniture and 250 art glass windows. A local treasure, the House’s barrel-vaulted dining room and gallery are two of the most photographed spaces in the history of American architecture. This home is a must see any time of the year. 9. 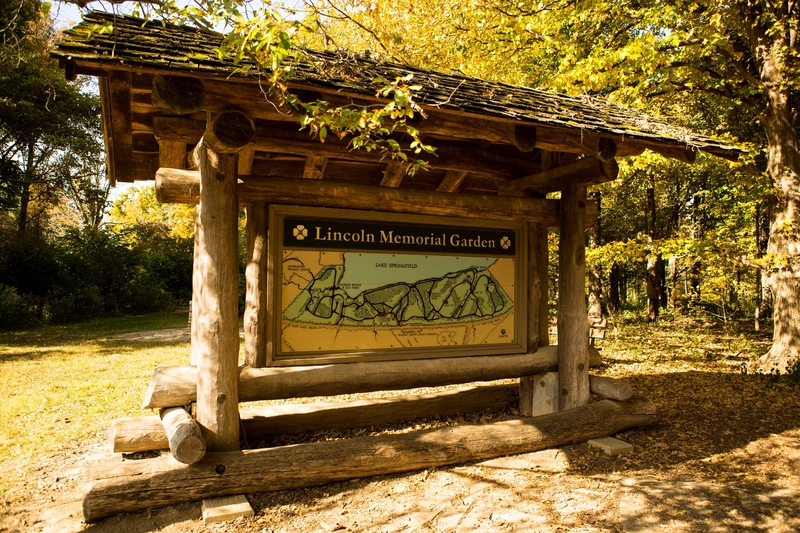 Enjoy the trails at the Lincoln Memorial Garden. Nature lover’s rejoice! Springfield is home to some beautiful nature based must see attractions including the Lincoln Memorial Garden. The Lincoln Memorial Garden represents an accurate Midwest landscape, containing plants native to the three states Abraham Lincoln would have lived: Kentucky, Indiana and Illinois. This 100-acre site features six miles of trails, footbridges, a pond, eight stone council rings, and dozens of wooden benches. The Lincoln Memorial Garden is great for families, birdwatchers, photographers, artists, nature enthusiasts, and those who are just seeking to relax in the beauty of nature. 9. 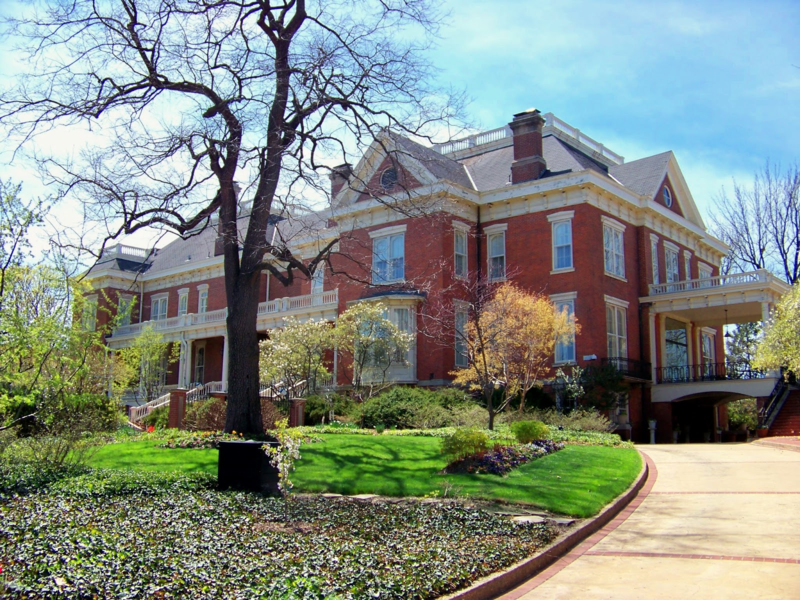 View the newly renovated Illinois Governor’s Mansion. Take a FREE TOUR of the residence that has been home to Illinois governors and their families since 1855. It is the third oldest continuously occupied governor’s mansion in the United States and was added to the National Register of Historic Places in 1976. The Mansion recently underwent a complete renovation and re-opened to the public in 2018. 10. Grab a Springfield Horseshoe. While you’re exploring the rest of Springfield, don’t miss out on the State Capital’s most iconic dish, the Horseshoe sandwich. 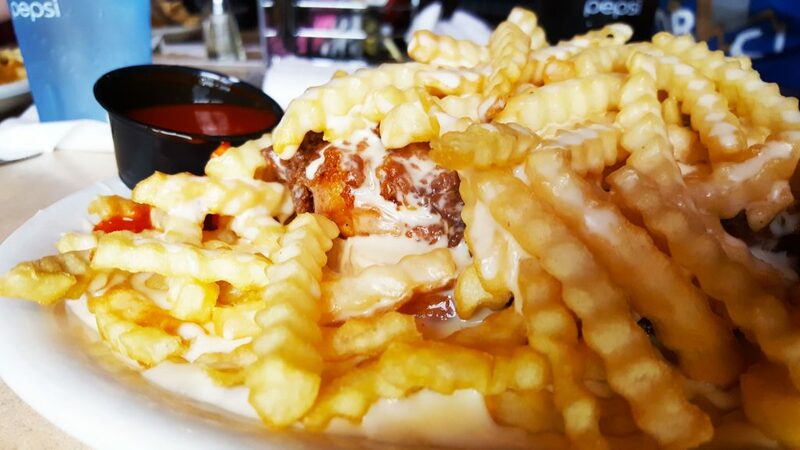 An open-faced sandwich made of Texas toast and two char-grilled patties, all smothered in cheese sauce and French fries; a Springfield Horseshoe will definitely satisfy any hungry sightseer. There are a number of places around town to try the Horseshoe, including local favorite, Obed & Isaac’s Microbrewery, or the home of the original horseshoe, D’ Arcy’s Pint.